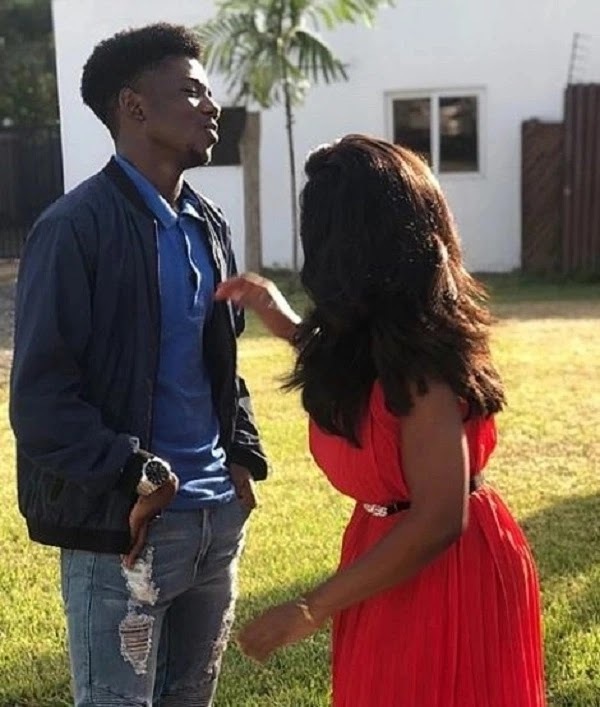 Richard Brown, the estranged "baby daddy" of media personality, Nana Aba Anamoah, has taken to social media to wish her well on the occasion of Mother's Day. Richard who has been engaged in a media cold war with Nana Aba over their son, Pow Kow Anamoah, sought to take the high road by putting his difference with the broadcaster aside and wishing her a happy Mother's Day. 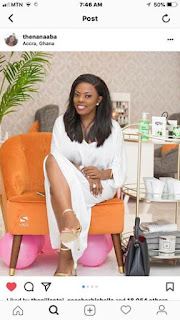 Sharing a beautiful picture of Nana Aba on his Facebook page, Brown praised her as the best mum in the world and asked for God's blessing for her. "Happy Mother’s Day to the best mother in the world. May God bless u and grants u all ur needs in his mighty name. Amen ," he wrote. 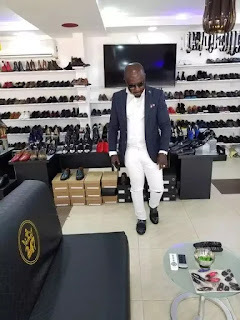 Brown recently made the news when he declared publicly for the first time that he was the father of Nana Aba's teenage son. He made the declaration in a post on Facebook after Naba Aba had shared some fun photos of her with her son on Instagram. 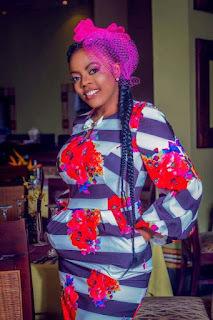 Before then, the identity of Pow Kow's father was not known to the public, and Brown's public declaration prompted Nana Aba to delete the pictures she had shared. It is not known what caused the bad blood between Brown and his baby mama, but some reports suggest that he abandoned Nana Aba when she got pregnant with her son at a time she needed him most. Other reports accused him of failing to taking responsibility for his son for many years and showing up to claim him only when it was convenient for him. But Brown has denied those reports, stressing that he took care of Nana Aba and the child and even sponsored the broadcaster's education. He said it was Nana Aba who had prevented him out of anger from seeing his son. According to him, all effort he made privately to be part of his son's life were blocked by his baby mama. It is not clear if Brown's latest gesture of goodwill will impress Nana Aba and prompt the top broadcaster to reconsider her relationship with him.